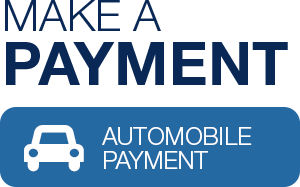 Heritage Acceptance offers you a variety of payment options with the aim to make paying your car note as convenient and simple as possible. Committing to on-time payments for the contracted amount will ensure positive credit bureau reporting and a timely payoff. You will need access to your account number for each payment method. Please note, Heritage does not accept Green Dot, ICE, MyVanilla, temporary Walmart Money, or credit cards. Fill out this form and mail or fax it back to Heritage for auto-withdrawals to be set up. Our payment system accepts Visa and MasterCard debit cards as well as checking or savings accounts. Mail in cash, check or money order to 118 S. 2nd Street, Elkhart, IN 46516. Allow five business days for mailing time to avoid late payments. Visit our office at 118 S. Main St., Elkhart, IN 46516 to make an in-person payment. We accept cash, check or money order. No change available. If you choose to pay with a Visa or MasterCard debit card, a processing fee will be applied. Click the button below to make a payment online. Call (800) 233-9598 and choose to speak with a representative or the automated system. Visit a participating CVS Pharmacy, 7-Eleven, ACE Cash Express, or Casey’s General Store to make a payment through PayNearMe. Contact your representative at (800) 233-9598 to be forwarded the Heritage PayNearMe link. Pay through MoneyGram at multiple locations. Click here to find a location near you. Use receive code 7458. Cash only. Send your payment through WesternUnion. Click here to find a location near you. Use code city Miracle, IN.